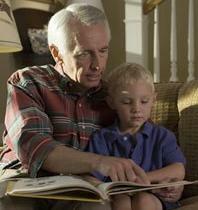 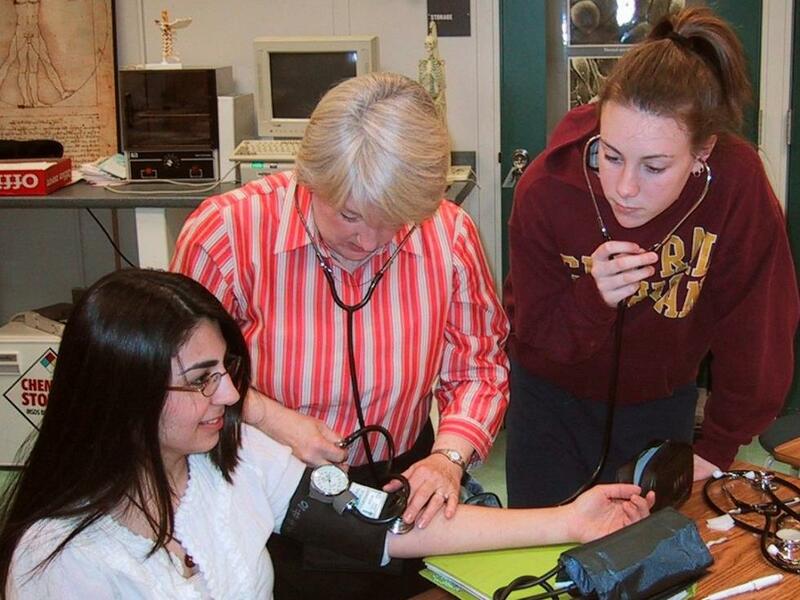 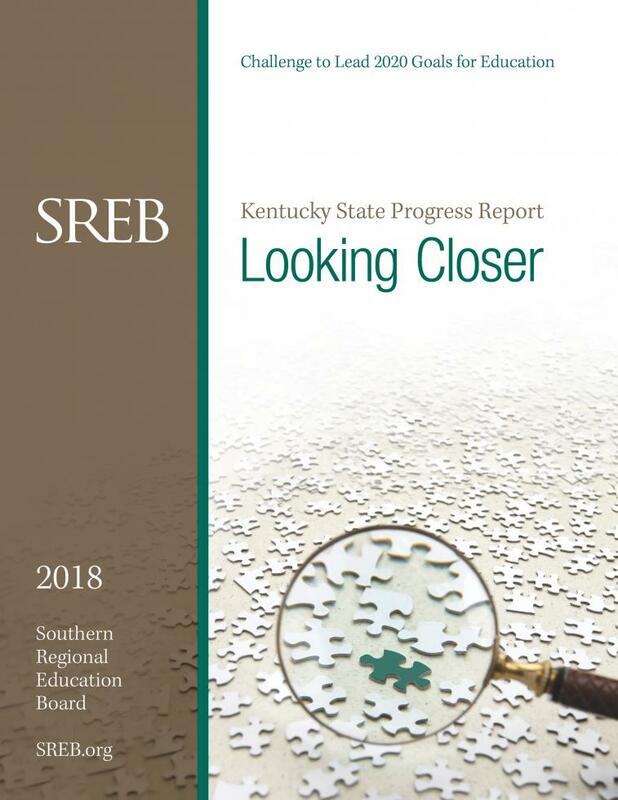 SREB works with Kentucky policymakers, colleges and schools to help them improve education. 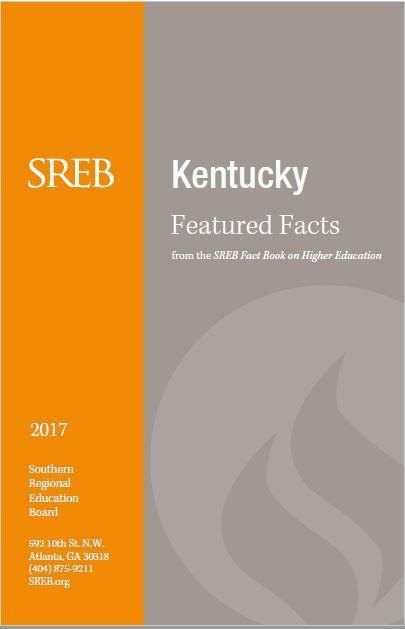 From this page, find independent, accurate data, reliable best practices and ways to share scarce resources — plus details on how Kentucky uses SREB’s targeted programs and services. 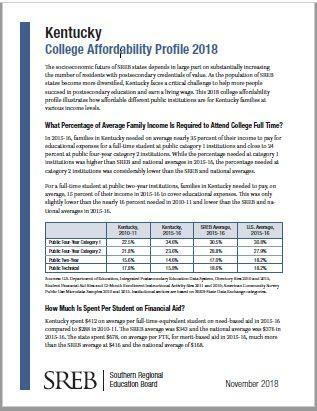 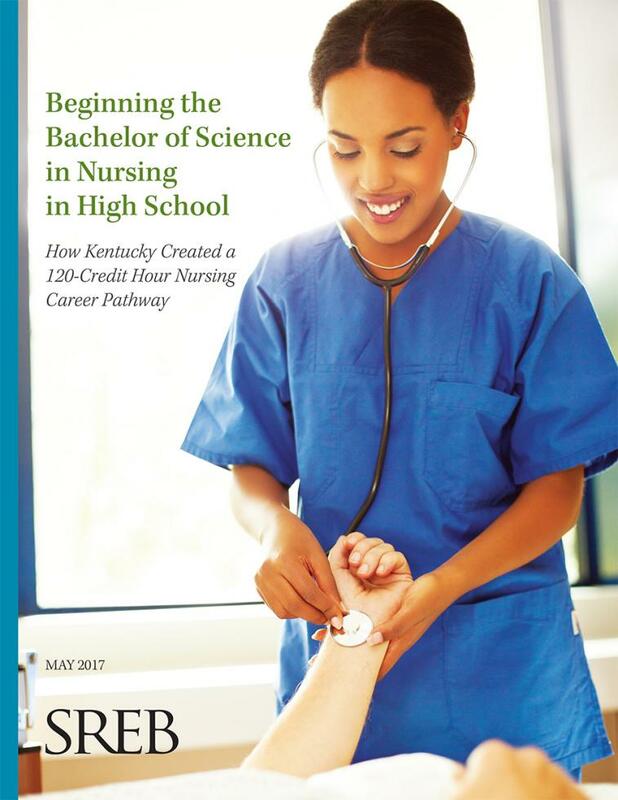 Kentucky-specific data on population, demographic, education attainment, enrollment, graduation rates, workforce, tuition, debt, funding, faculty salaries and more. 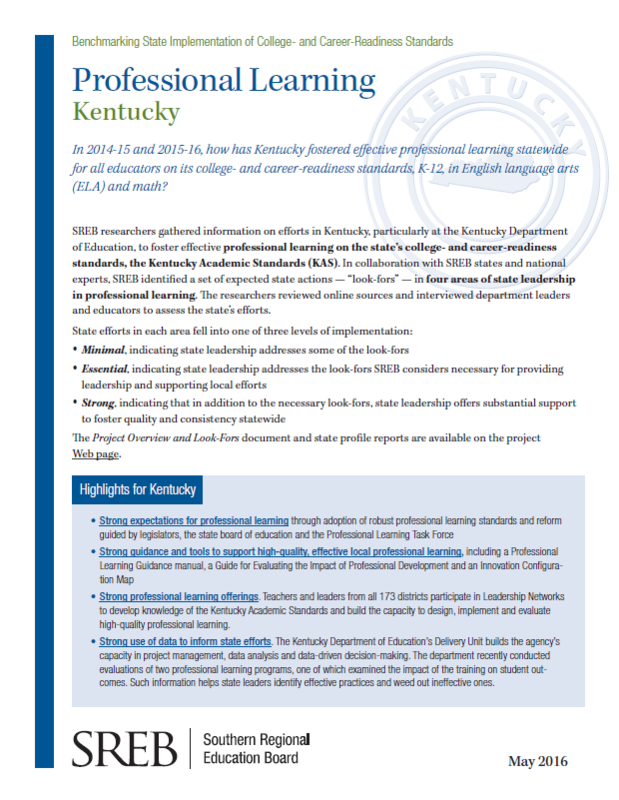 The Kentucky Community and Technical College System (KCTCS) received a Wave III-B Next Generation Learning Challenges grant in 2013 to focus on breakthrough models for enhancing college completion. 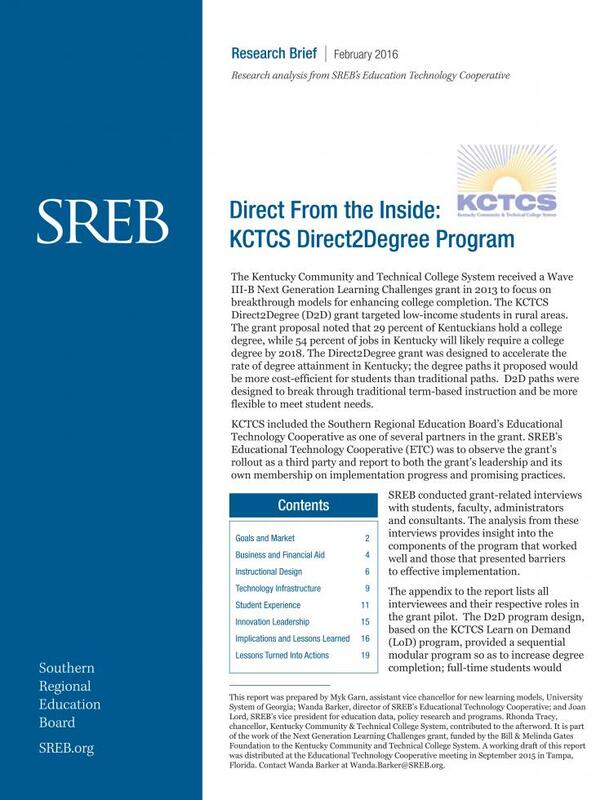 The Direct2Degree program was designed to accelerate the rate of degree attainment in Kentucky — with degree paths that would be more cost-efficient for students than traditional paths.